The Patravi AutoDate TwoTone is a highlight in many respects. The Patravi AutoDate TwoTone is a highlight in many respects. The way it not only harmonizes perfectly with almost all gold and platinum tones but also goes well with a wide range of styles makes it the perfect companion, either as a tasteful accessory or an elegant eye-catcher. 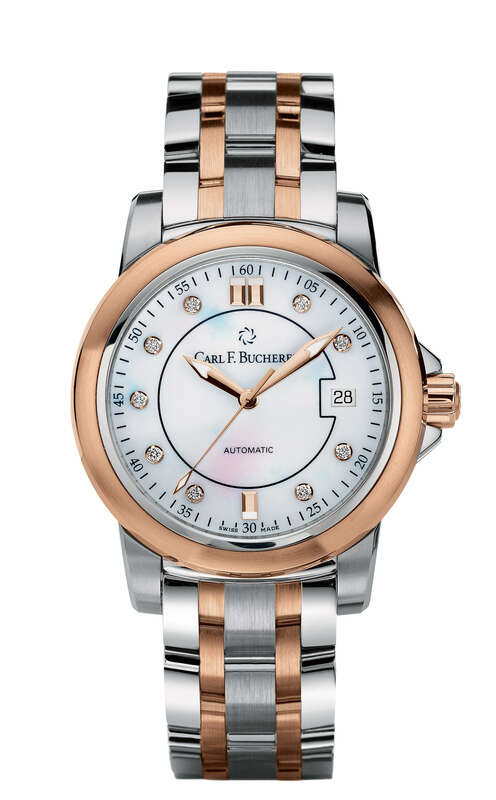 The matte-white dial is stunningly framed by the stainless-steel and 18 K rose gold case, which is also available set with diamonds if desired. The twin colors of the two materials in the case are reiterated in the bracelet. The Patravi AutoDate TwoTone thus remains true to its owner all the way down the line and regardless of the event at which he or she wishes to shine.